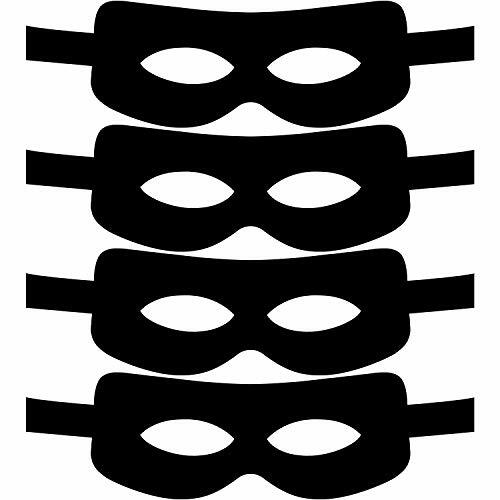 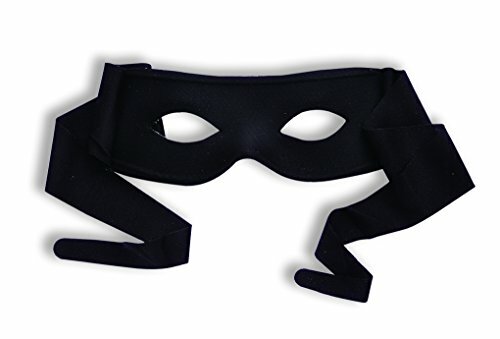 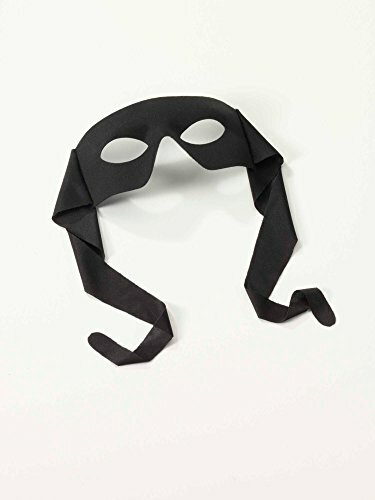 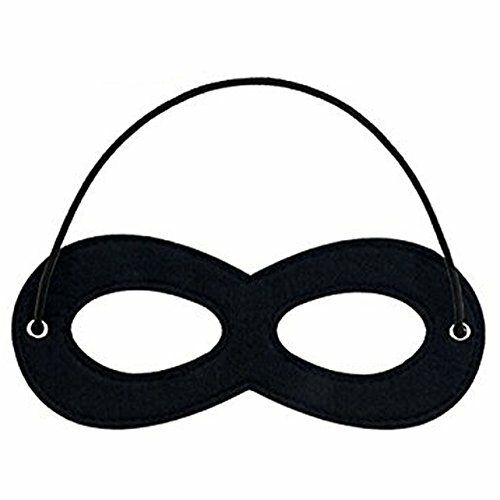 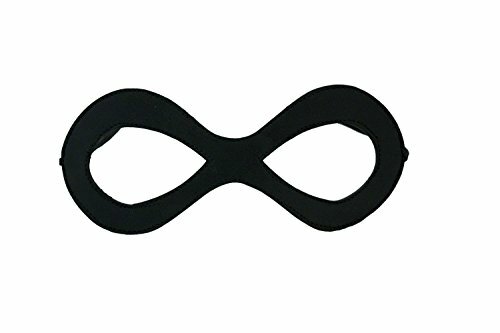 Halloween Accessories Venetian Mask Masked Man with Ties Black is a one size fits most. 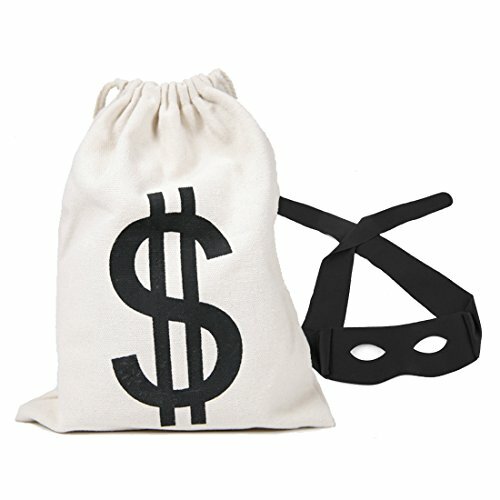 Robber Costume - 3 Piece Burglar Costume - Bandit Mask, $ Bag & Gloves. 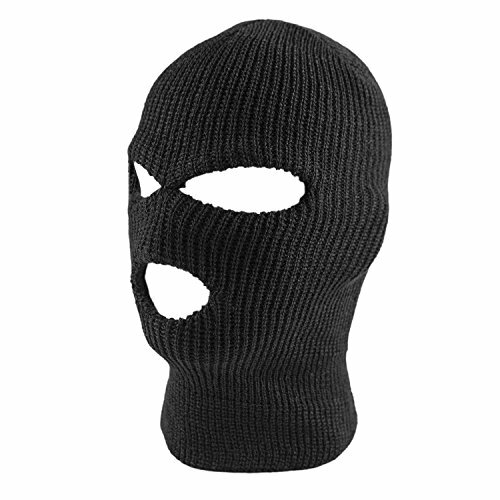 Durable costume accessory set for all your quick getaway pretend robberies! 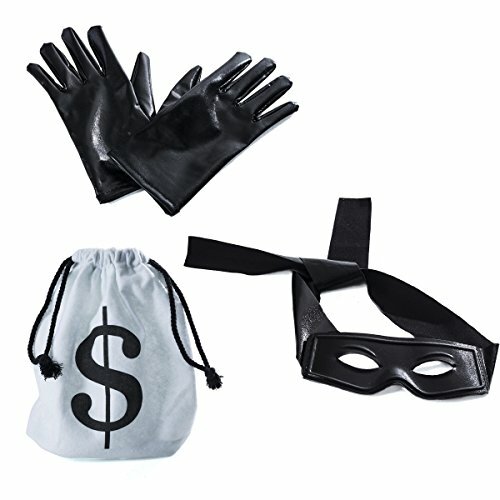 Set includes money bag, eye mask, and and black leather look gloves. 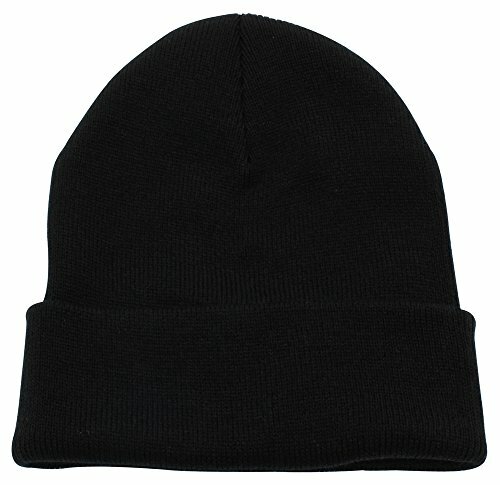 Great for any age!